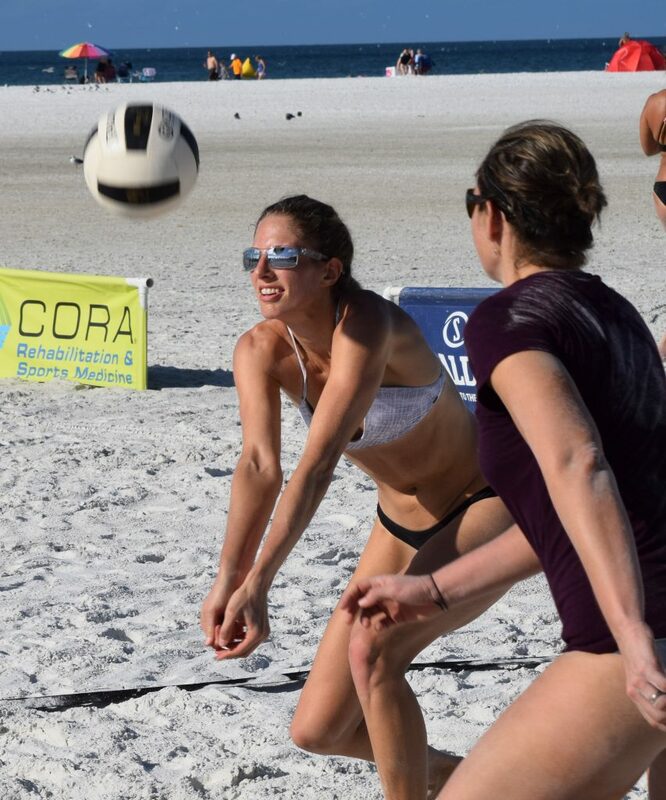 Hundreds of men, women, coeds, and junior boys and girls athletes gathered on spectacular Siesta Beach recently for this year's Forza Faceoff Beach Volleyball Tournament. Participation was lower than normal this year due to the effects of Hurricane Irma. 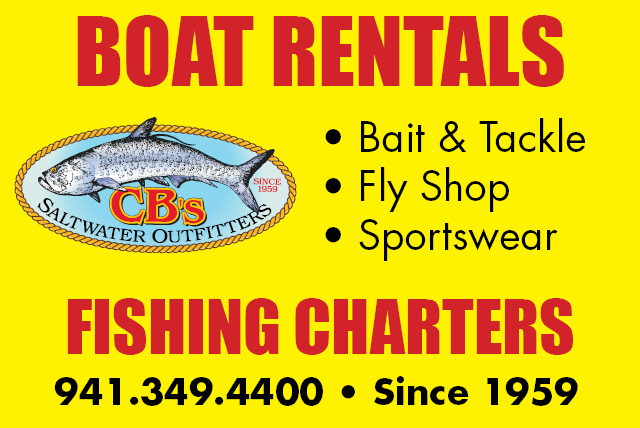 Tournament Director, Richard Heiles said, "Some tournaments that were canceled over that weekend were rescheduled for this weekend lowering our attendance by about 30%." This year’s sponsors included: 4C Iced tea – Drink Mix – Energy Stix, Spalding King of the Beach Volleyballs, Rider Sandals, Reflekt Polarized, e-Blasting.com, AC Sports Commission, Venus Swimwear, Sand Socks by Vincere, Sports Authority, HyTail Ponytail Hat, Dig Magazine, Sportime, Horry County, Volley America, South Shore Outdoors, and CORA Sports Medicine. Bree Scarbrough (24) of Sarasota and Aurora Davis congratulating one another after winning a point during their Women’s Open Division match. Bree played her collegiate indoor volleyball at American University and graduated from the University of South Florida and Aurora played at Florida State. 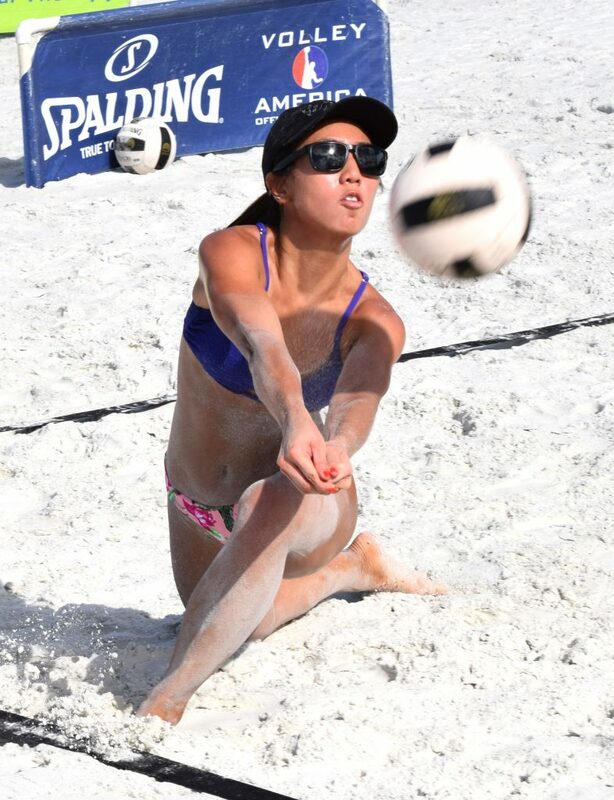 Nid Ovathanasin (25) of Tampa digs a ball to save a critical point during a Women’s AA Division match on the powdery sand of fabulous Siesta Beach. Jen Albrecht (31) of Charlotte, NC sets her partner for for a spike at this year’s Forza Faceoff Beach Volleyball Tournament. 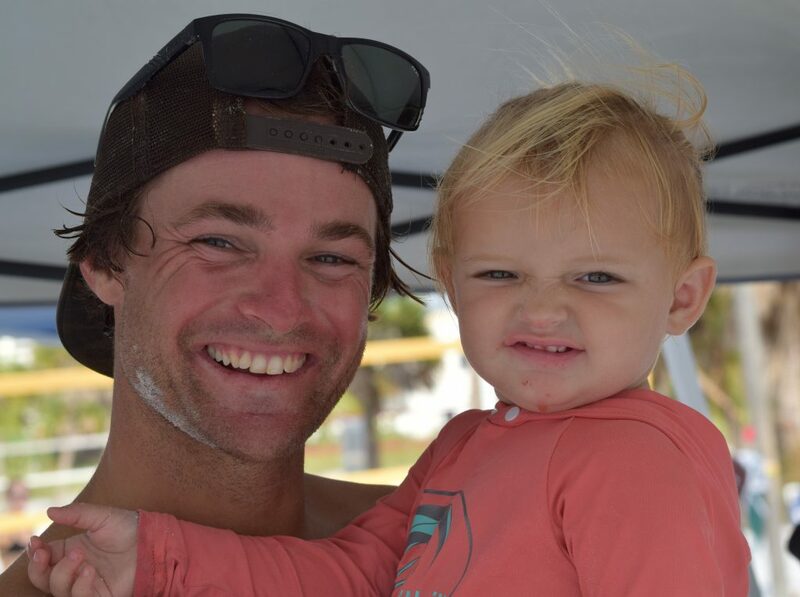 Josh Davis and his daughter, Kalohe (2) enjoying a moment together between matches.